Terrified that your web design brand is going to end up going the way of Logan Paul after an intern sent out an insensitive tweet? Unsure about how to write about and position your brand in a way that makes it clear you’re on par with your competitors, but not a carbon copy of them? Has someone recently posted a less-than-flattering review of your company on a website, and you’re not sure how to best respond? We know that the world of online reputation repair and management can be tricky. To help you out, we’ve created this guide of helpful reputation repair tips for web design companies. Read on to learn how to boost your company’s standing, get more clients, and deal with those tough reviews. Almost 85% of consumers say that they feel online company reviews are just as valuable as the personal recommendations they get from friends and family. This means that, as much as you’d love to ignore it, that negative review left by a disgruntled customer will have an impact on your business. First of all, refrain from the urge to delete bad reviews. Not only does it make your brand look dishonest and cowardly. It’s also highly likely that the person who wrote the review will notice — and they’re not going to keep quiet about it. Instead, take a breath, and get ready to respond to the review. Remember, even if it might not seem like it now, the reviewer did you a favor by offering honest feedback and pointing out a problem. Begin by thanking them for bringing it to your attention, and then apologize. Also consider offering them another, complimentary chance to use your services and allow you to make things right. Not only will this possibly appease the reviewer. It will also show other readers that you’re serious about owning up to your mistakes and providing superior customer service. So, you’ve decided to do a quick Google search about your company — and you’re shocked to see so many negative results. From customer complaints to hit pieces to nasty blog posts from your competitors…it turns out that for as much awesome information about your brand that’s online, there are just as many not-so-nice things. It’s time for you to take back control. Start by studying up on SEO tactics and popular keywords within your industry. When you control the first things that pop up on search engines relating to your web design company, it’s easy to drown out all that negative talk. This means that you’ll need to start posting often and that what you post needs to be on-brand and actually helpful to your target market. This is the perfect opportunity for you to start a blog, or expand your brand’s presence on social media. Learn more about how to create engaging and compelling content for your website and blog by working with companies like Net Fusion One. First of all, they’ll offer your brand a complete website audit to jumpstart your online reputation repair. An audit will help you to identify potential problems with your website and point out things that can negatively impact your interaction with users. This can include things like slow website loading time, internal and external links, and even the quality of the keywords you’re using. Then, they’ll help you to craft branded content that speaks to a wide audience while developing a unique voice for your company. They’ll also work to create content that’s highly shareable, so you can take social media by storm. So, that bad reviewer still seems to really have it out for your brand. Or, even worse, you suspect that a competitor has created a fake account and is making up lies about your company online. Believe it or not, there are ways to either dispute negative reviews and comments or have them taken down. Especially if the things being posted about your brand are lies, if you have control over your own comments section, you have no obligation to keep them up. Additionally, you may want to consider vetting comments before they’re posted online. That way, you can get rid of problems before they even start when it comes to online reputation repair. Also, you can hire professionals to help you to spot and take down fake reviews. Sometimes, you may be required to send in a statement to the review platform in order to properly contest the review. So, make sure you’re armed with as much information as possible, including an IP address, a copy of the review, and as much evidence for its falseness as is possible. Finally, you could bargain with the reviewer themselves. Send a calm message explaining why you feel the review is inaccurate, and nicely ask them to take it down. Have you really stepped in it and have no idea what you need to do next in order to save your company? Do you understand the importance of online reputation repair and management, but aren’t sure you actually have the time to dedicate to it on your own? Would you just feel a lot more comfortable having a second set of eyes on your brand’s online reputation? If so, then it sounds like you should consider working with a professional online reputation management company. While the reputation management industry is growing, more companies mean that it’s even more difficult to find one you can trust. That’s where we come in. 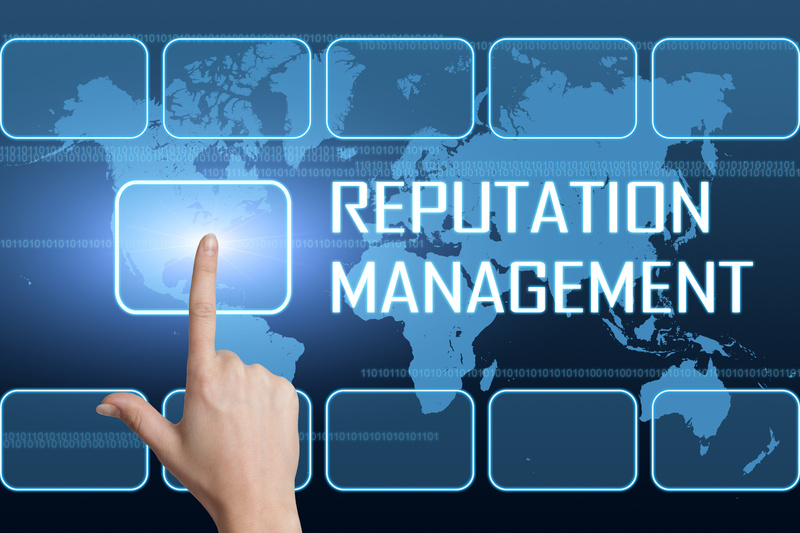 At ReputationResults, we offer a wide variety of services relating to keeping your brand’s image squeaky clean — and up-to-date — online. Get in touch with us or read our blog to learn how to deal with bad reviews, increase your brand recognition, and lots more.